What we find is often not what we expect and this is in itself the rub. When we set out on any adventure, we have no guarantees we are heading into anything other than the future, a future playing out on a landscape both foreign and strange, different. 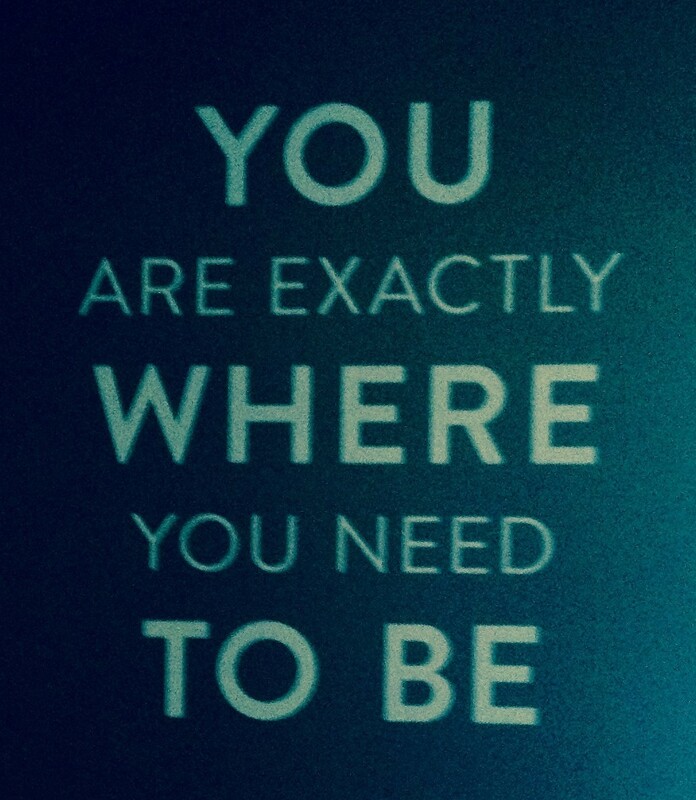 If, as the sign suggests, we are exactly where we need to be, for what exactly are we where we need to be? That is the more intriguing question. And its answer is unknowable until we find it out. This weekend I am traveling down to Southern California to facilitate a day retreat at Open Door 2 Yoga in Pomona and reconnect with a community of students I taught there for three years. This has brought into a finer relief the contrast of who I was with who I am and what I had with what I have. I have been wondering about this. For what exactly am I here? For what exactly was I there? The recent death of my dear friend Cindy (whom I had talked with almost every day since we met a decade ago and in days of crisis sometimes two, three, or four times a day, perhaps even five!) adds a layer of poignancy to my inquiry. This morning I sat on two ordination panels among colleagues I hadn’t seen since arriving in the Bay Area and with each of whom I share common jobs held at different times in our trajectories of ministry across the years. For what exactly were we there? Last night I dreamed dreams of resolution calling for vigilance and a healing of old wounds and in the morning the wounds were healed and I awoke vigilant and aware that who I thought I was, I am not. This, I think is the point and purpose of this post. What I expected to find when I set out for Northern California in January of this year is not what I have found. I am not talking about here about anything outside of my own being. There is something about being back up in the Bay Area, of walking the same sidewalks in my old neighborhood, in my old City, as the man I am becoming that has given me pause to reassess who I am. I am not that man who was. Who I expected to find is not who I have found. As many of us are discovering in this age of fluid identity and the re-creation of self, who we think we are is up for assessment, acknowledgment and perhaps, alteration. As Venus passes through the Beehive and the new moon rises in Gemini, the passing of spring into summer and the approach of the longest day of the year all harken us into a deeper study of ourselves and what we are truly willing to give up in order to become who we are truly encoded to be. Are we courageous enough to explore outside the edges of our old world? As for me, I am not finding what I had expected to find here. I am finding something deeper, richer, unimaginably confusing and confoundingly beautiful. As I resist less, something satisfying and peaceful unlike anything I have before felt is emerging in me that urges me onward. 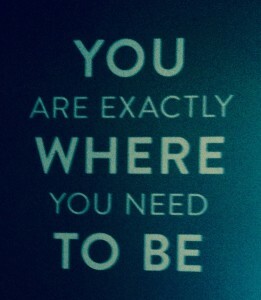 We are exactly where we need to be, but only if we are listening, and listening, heeding what we hear.